Who doesn't love a cheeky sweatshirt?? 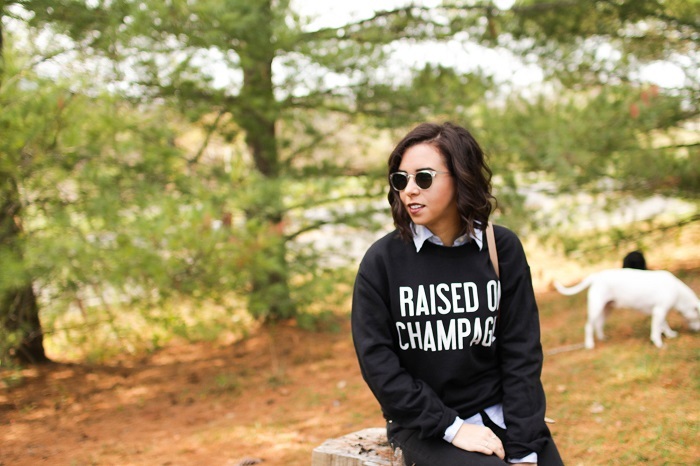 When I stumbled across this "Raised on Champagne" sweatshirt on Rad.co I became obsessed. 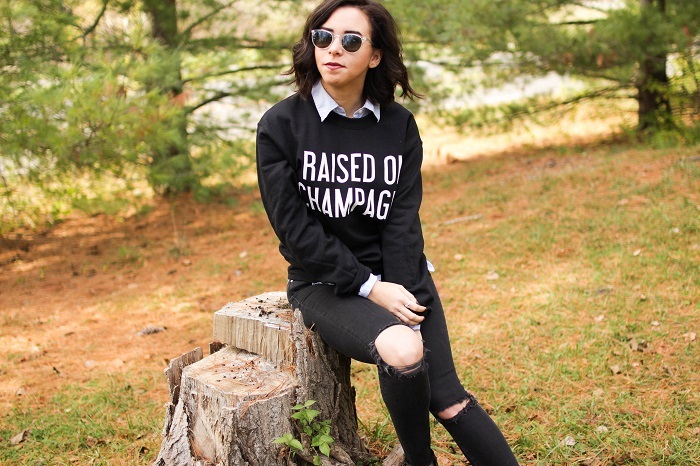 A cozy sweater with a fun saying is basically a win-win. 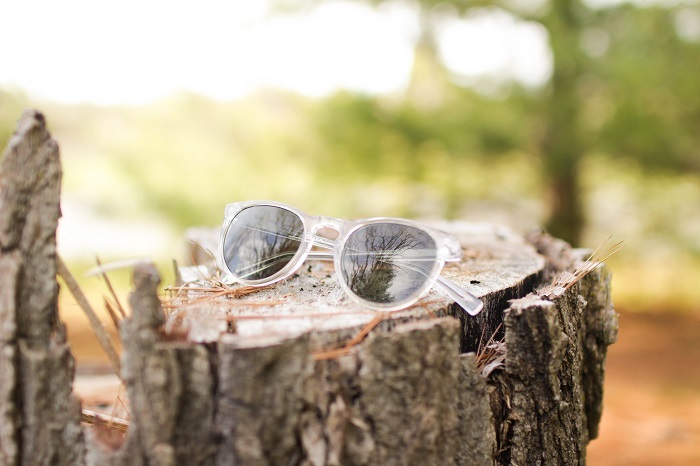 On another note, I have been eager to find a new pair of lucite sunglasses. When I stumbled upon these Warby Parker Hacksell's I knew I had to have them. The frames fit my face (which I always have an issue with) and the fact that they are clear they literally go with everything for every season. If winter has finally hit your area or if your living in a weird weather purgatory like I am here in Virginia, Spring.com offers a great variety of accessories. Spring.com also shows you the price of all the items on their site which makes avoiding falling in love with pieces out of your price range a little easier. So cute as always lady! Love those Tibi booties!!! I kind of really want that sweatshirt now...it's adorable! Also, I don't think I could pull off the sunnies like you, but they're perfect with this outfit.